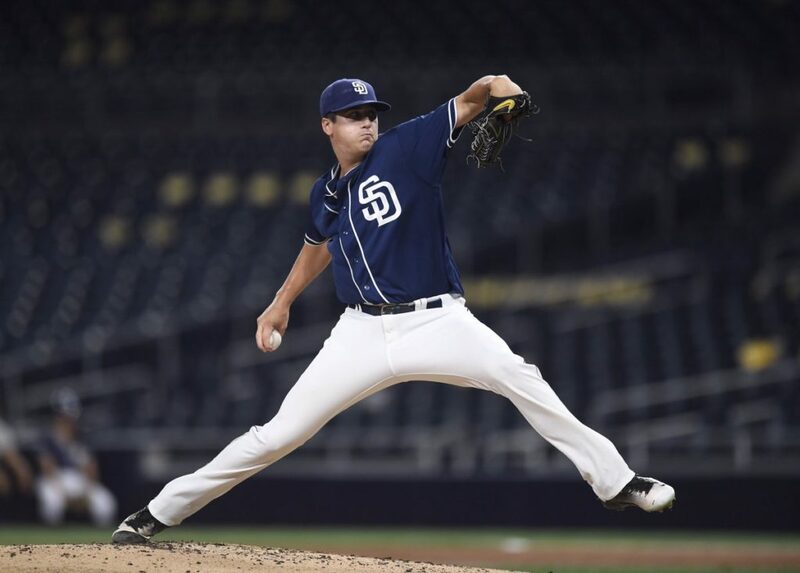 It took a little time for Cal Quantrill to reach his stride, but the right-handed pitcher is healthy and focused on a productive 2019 for the San Diego Padres. 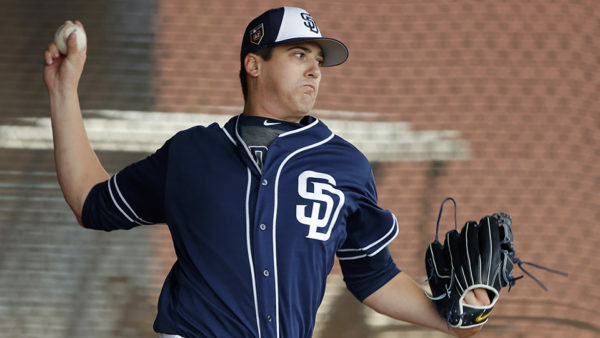 The San Diego Padres selected Cal Quantrill with the 8th pick in the 2016 amateur draft. He came with a lot of hype and some expected the young right-handed pitcher to dominate in the minors on his way to San Diego. That did not happen, as Quantrill struggled. Not all prospects are equal. Some take a little longer to develop. In the case of Cal Quantrill, he hasn’t exactly fallen behind his class; his draft class was full of pitchers who developed exceptionally quickly. Eric Lauer and Joey Lucchesi are a rarity. It is not as easy as they have made it seem. Quantrill, at the age of 24 is on the cusp of making his major league debut. He is still young and could very quickly reach the high expectations that were placed on his broad shoulders when he was drafted. The Canadian pitcher has confidence about himself that is calming. “I am here because I have earned the right to be here. I am here to compete,” said Quantrill. A rotation spot is not out of the question for him, and you get a sense that he realizes that fact. His velocity is up, and he has a straightforward explanation for that. “I was able to clean up a few things in my delivery. I made it simpler. A little more directional. 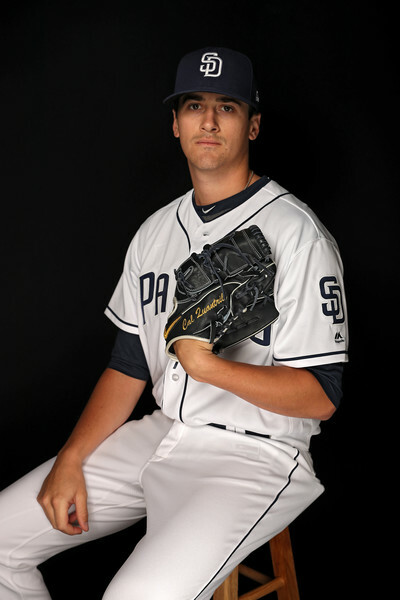 To me, that is the biggest reason why the velocity has gone right back to where it was when I signed,” said Quantrill. There is more comfort with his mechanics, and that has led to a better feeling while he throws. “I feel good. I feel clean. That’s the key for me. The cleaner it feels, the harder the ball comes out,” declared Quantrill with a smile. The former Stanford pitcher has used the Rapsodo machines that are in camp this spring. He has an interesting way of using the technology. “Everyone has the option of using the Rapsodo to whatever degree they would like to use it to. For me, I am kind of just playing around with it. Seeing what I find useful,” said Quantrill. He digests the numbers to a certain extent but is still processing all the information and how to use it. “I am mostly trying to get a read of where I am at in terms of stuff. Just seeing what change does to the numbers and stuff like that,” said Quantrill. He gains a baseline reading of his pitches and then experiments from there. Quantrill is a thinking man’s pitcher, and you gather that by speaking to him. In talking game theory and such with the pitcher, he communicates well in explaining his thoughts. “I can’t throw a pitch without every single player seeing it. I am not going to show up to the field one day and surprise anyone. So you have to do an equal amount of research on them (batters). You need to know what has worked in the past against them,” said Quantrill. He will adjust, and that bodes well for the future of this pitcher. If you fail to adapt to this game, you will not last long. Cal goes on about gathering information and how he uses it to make him better prepared. “It is not all that interesting to me what a lefty that throws 103 does against a specific hitter. I am interested in what they have done against a right-hander with my kind of arm slot. You try to take as much of that as you can, but at the same time stick to your gameplan and strengths. In the end, you would rather pitch to your strengths rather than their weaknesses. But at times it is important to know that his strength might be better than my strength, so its time to pitch to their weakness,” revealed Quantrill. Thinking ahead of the game and trying not to be stubborn are more hurdles for this pitcher to overcome. It is nice to hear that he is learning. Being a Canadian baseball player is very special to Quantrill. “It’s a pretty small, close-knit community. There really is not a whole lot of us,” said Quantrill. The hardships and desire to be a baseball player in Canada is real. The environment doesn’t exactly provide suitable playing grounds. “The players that are here have worked their butts off to be here. We played tournament after tournament somewhere in Canada just to get exposure. Coming over to the States to play college baseball. There are a lot of routes to get here, but we all had that one common factor- that desire. Driving three hours to practice and stuff like that are not exactly the same as here (in the States),” said Quantrill with a smile. Cal Quantrill’s success at the end of last season was due to a rise in velocity. Through most of the season his fastball sat around 91-92, but at the end it was at 94. If his velocity continues to increase to the speed when he was in college (95-96) he will no doubt find a place on the Padres staff long term.